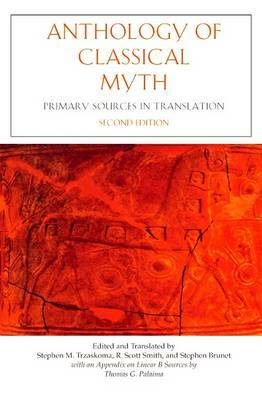 This volume is designed as a companion to the standard undergraduate mythology textbooks or, when assigned alongside the central Greek and Roman works, as a source-based alternative to those textbooks. In addition to the complete texts of the Homeric Hymns and Hesiod's Theogony, this collection provides generous selections from over 50 texts composed between the Archaic Age and the fourth century A.D. Ancient interpretation of myth is represented here in selections from the allegorists Heraclitus, Cornutus and Fulgentius, the rationalists Palaephatus and Diodorus of Sicily, and the philosophers and historians Plato, Herodotus and Thucydides. Appendices treat evidence from inscriptions, papyri and Linear B tablets and include a thematic index, a mythological dictionary, and genealogies. A thoughtful Introduction supports students working with the primary sources and the other resources offered here; an extensive note to instructors offers suggestions on how to incorporate this book into their courses.